Football teams can learn from many of the world's largest technology companies,2 which embed research within their organisations to improve efficiency and enhance productivity. Such a strategy is coined ‘Research and Development’ (R&D), and defined as: ‘work directed toward the innovation, introduction and improvement of processes’.3 However, to the current authors' knowledge, R&D is not widely adopted in high-level football teams. We argue for professional football teams to embed R&D into their daily activity to improve their processes relating to reducing injury-risk and optimising performance. In a fast-moving environment, practitioners combine data (eg, training load, recovery, screening) with their expert opinion to inform decisions on individual players. We suspect these data are often not interrogated to the level that a researcher might aim for.1 Nevertheless, practitioners are expected to be innovative, and often become early adopters of new technology and techniques to gain competitive advantage (eg, altitude training).1 In-house R&D can inform judgements and decisions taken in the fast-working environment. Remember that innovation is a sword with two-edges—it can also lead to impaired performance. Example 1—what do repeated player measurements really mean? Considering week-to-week variation (CV) and smallest worthwhile change (SWC), we can determine ‘real and meaningful’ changes.6 ,7 For example (table 1), player 1 demonstrates a high week-to-week variation in recovery of isometric hamstring flexion and therefore requires greater change to detect anything meaningful. Player 2, with low week-to-week CV, requires a smaller reduction to show real change (and, thus, is potentially at risk of injury). This concept applies to various monitoring, medical and performance measurement tools typically used in the professional football team setting. While such confidence in data is imperative, the information must be translated so that it influences practice (eg, does the injury-screening tool detect injury risk, does the change in recovery-marker relate to real changes in performance?). Such analyses require specialised knowledge in analysing large data sets, and are time-consuming and not within the natural scope of practice for ‘fast’ practitioners, clinicians, and strength and conditioning coaches. Example 2—is this technological aid valuable or simply voodoo? Teams are constantly faced with offers of new technologies and methods/procedures that claim to accelerate recovery, reduce injuries and enhance performance. A team’s ‘slow worker’ would investigate the legitimacy of such technologies. Using an adapted method originally created to prescribe medication,8 it is possible to assign graded-recommendations (figure 1) for new products or procedures in practice, based on scientific level and quality of evidence from research literature combined with expert opinion. This ensures that products or processes introduced are based on solid evidence1 and cost-effectiveness (which is not always at the forefront in professional football). 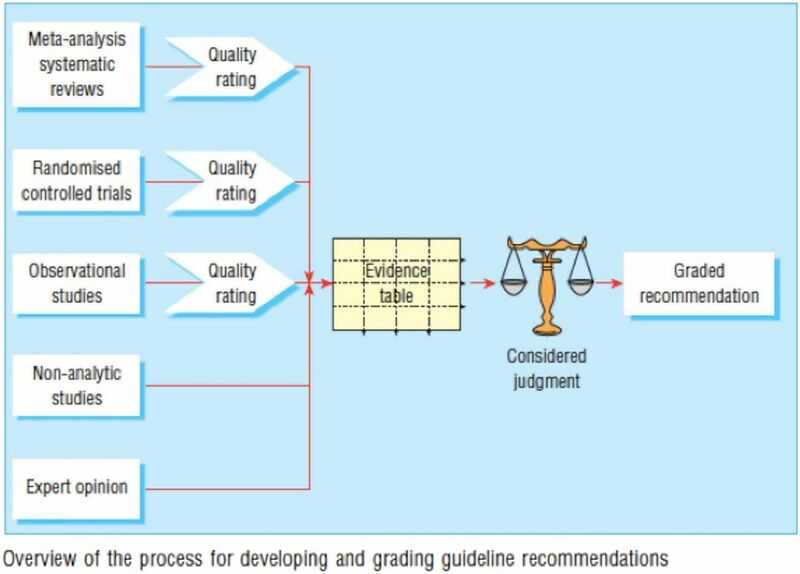 Proposed method to establish level of evidence and provide an overall graded recommendation for the introduction of a new product or process (reprinted with permission from Harbour and Miller8) (reprinted with permission, BMJ). In the example given (table 2), consider whole-body cryotherapy (WBC) as a recovery strategy. According to the sources, quality of evidence, general consensus and considered judgment (practitioners and researcher), the graded-recommendation for WBC is D (insufficient evidence to recommend). Successful preparation and acting on player-related recommendations in professional football are highly dependent on ‘buy in’ from key-decisionmakers (coaches, players and CEOs). In a fast-moving environment, these key-decision makers are concerned with simple ‘yes/no’ answers (can the player train/play? will he/she suffer recurrent injury? ), whereas the researcher is concerned with the ‘what, why and how’ of these issues. The ability to communicate relevant data with practical meaning is paramount. The R&D role should provide translation of data from complex analyses into clear messages to inform decision-making. In summary, an effective way to optimise decision-making of the fast-intuitive practitioner can be through embedding R&D within the team, ensuring an ethical, valid and financially prudent approach to the innovation, introduction and improvement of processes. Appropriate delivery of information to team management is essential. Fortune magazine. The top 10 biggest R&D spenders worldwide. http://fortune.com/2014/11/17/top-10-research-development/ (accessed 17 Nov 2015). Oxford Dictionary. Definition of ‘Research and Development’. http://www.oxforddictionaries.com/definition/english/research-and-development (accessed 28 Jan 2016).
. In the age of technology, Occam's razor still applies. Int J Sports Physiol Perform 2014;9:741.
. Making meaningful inferences about magnitudes. Int J Sports Physiol Perf 2006;1:50–7.
. A new system for grading recommendations in evidence based guidelines. BMJ 2001;323:334–6.